It's been 50 years since Jimi Hendrix took the world by storm with his incredible Monterey Pop Festival performance, which he concluded with the sacrificial burning of his now-iconic hand-painted Stratocaster. Destroyed during the fiery culmination of his set, this one-of-a-kind guitar survived only in photos and film. To celebrate the 50th anniversary of this milestone in music history, Fender has created the limited-edition Jimi Hendrix Monterey Stratocaster. A trio of single-coil Stratocaster pickups give this Strat its classic Fender sound -- bell-like and articulate, it has plenty of singing sustain for soloing. The "C"-shaped maple neck bears a vintage-style 7.25"-radius maple fingerboard with 21 vintage-sized frets for a playing feel just like the original. The six-screw synchronized tremolo is perfect for unleashing dive-bombs and other sonic expression. Other period-correct touches include the vintage-style tuning machines, strap buttons, trem arm and dual-wing string trees. 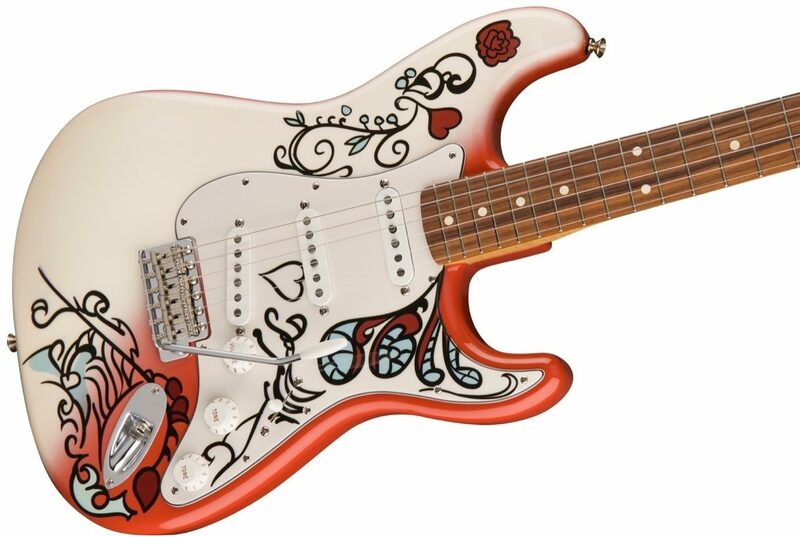 An homage to Hendrix's spectacular Strat -- right down to the hand-painted nail-polish artwork that burned its way into our memories. And as a special touch Fender has added an exclusive etched Hendrix neck plate. Carrying on the same free-spirited, psychedelic vibe of the original, and indeed Hendrix himself, the Jimi Hendrix Monterey Stratocaster is sure to set your music ablaze. "Great sounding and looking vintage style Stratocaster"
Overall: I bought this guitar mainly based on its looks, the body design that is inspired by the guitar that Jimi Hendrix destroyed and burned at the Monterey Pop Festival guitar looks unique and awesome. I already own an American Deluxe Stratocaster and a Mexican made Telecaster, so I know that the quality of the Mexican made Fenders (at least the more expensive ones) is pretty good, no sharp frets, nice sounding pickups, quality tuning machines and bridges. Same can be said that for this instrument. 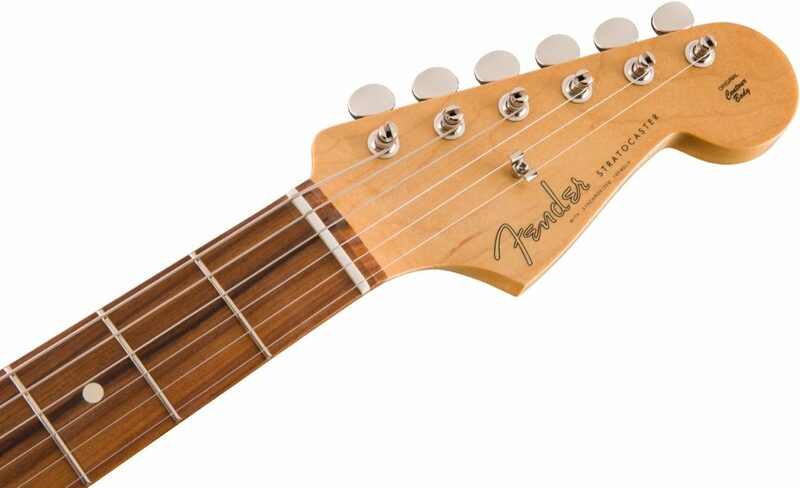 Really the only general thing where I clearly prefer the American made Fender is the satin finished neck. This particular Stratocaster is clearly based on a vintage style (60's I assume, pre-CBS), so it has staggered pickups, vintage tuners and a vintage style truss rod. 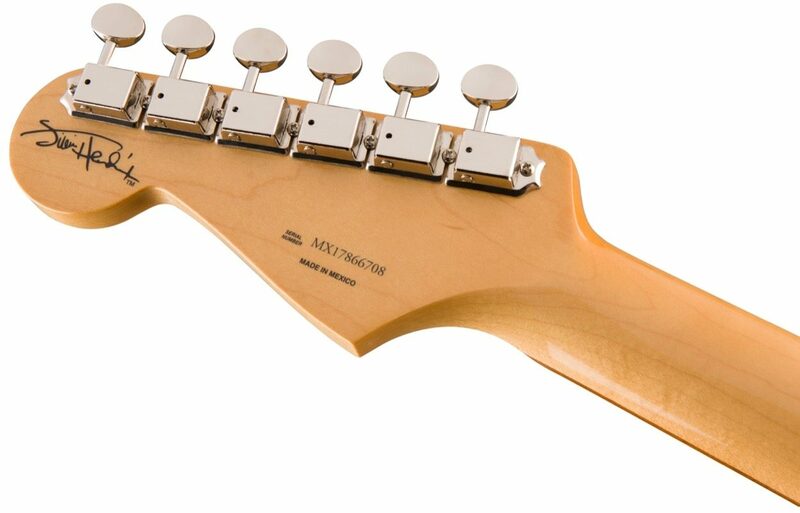 This is also the single main thing that I think Fender could have modernized, because it makes truss rod adjustments more inconvenient. Out of the box the neck bow was a little higher than I would have liked, switching to a lighter string gauge made improved that a bit. I don't fault the manufacturer though, because there are many things that can influence that. Overall this Strat looks and sounds great. "Get One While You Can"
Overall: We all know this guitar is patterned after the Strat Jimi torched at Monterey so let's set that aside. This guitar is based on a mid 60's pre-CBS Strat. Vintage style neck, hardware, bridge and pickups, etc. I have two MiM Strats and they are very well crafted. This model is no different in that regard. The usual MiM Strat comes with ceramic pups while this one has alnico V's (just like the vintage ones). The sound is CRYSTAL CLEAR. The standard five way pickup selector offers all the classic Strat sounds. The neck is slim and very playable with plenty of room below the high E so you won't pull the string off the very nice pau ferro fretboard when doing pull offs. The narrow vintage style frets don't facilitate finger vibrato like jumbos but they are more than adequate. 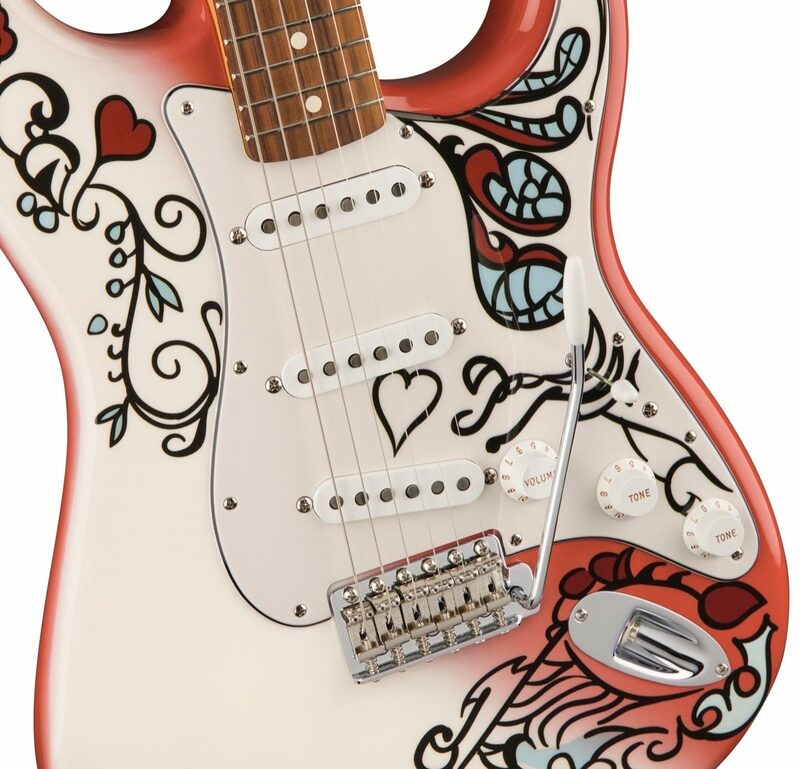 This is your basic, Typically Awesome Fender Strat with a seriously cool paint job. This limited edition came out 18 months ago. Most online retailers have sold out so quit reading this review and BUY THIS GUITAR RIGHT NOW (while you can). Style of Music: Rock, mostly mid to late 60's rock.